It's February in Victoria, so unlike much of our country, the city will soon be bursting into colour with bright yellow daffodils, multicoloured tulips and red rhododendrons. So too the Phoenix Theatre is bursting with vibrant colour with our production of Eurydice. Read on to learn about professor Mary Kerr's vibrant design and New York playwright Sarah Ruhl's wonderful play. 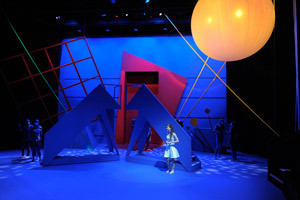 Using vivid primary colours, bold shapes and kinetic movement, Mary Kerr tends to think of her design for the set and costumes of our production of Eurydice much like a working, moving art piece. Her and director Jeffrey Pufahl's unique vision of playwright Sarah Ruhl's underworld also reminds one of some of our most loved artists. "We want the audience to be immersed in the world of Eurydice as soon as they step into the theatre," Mary says of her set that utilizes lots of very alternative areas of the thrust stage at the Phoenix Theatre, from scenes up in the fly tower grid to above the vomitorium stage entrance. In this expansive 360 degree set, brightly coloured scenery pieces are choreographed and function like part of a great kinetic sculpture. As well, the actors in their equally vibrant costumes are viewed as an extension of the set. 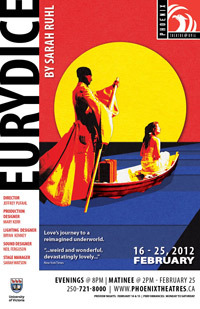 A labour of love for almost a year, this production of Eurydice is a culmination of Pufahl and Kerr’s vast experience. Although a master’s student, Pufahl (shown on right) already has both a degree in Music from McGill University and a degree in Theatre Performance from the Cincinnati Conservatory. Kerr has a distinguished career as a leading production designer in theatre, dance, opera, television, exhibition and special events design and was inducted to the Royal Society of Canada in 2010. 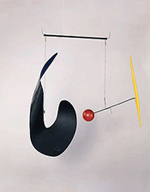 Mary, who studied originally as a visual artist at the University of Manitoba, is known across the world for her unique visual vocabulary created over a lifetime of sculpture and stage work, a vocabulary which is often highly coloured and strongly abstract and kinesthetic. The original inspiration for this dynamic production came from the director's analysis of New York playwright Sarah Ruhl's wonderful play, his and Orpheus's love of music and an interest in Peter Brooks' historic production of Midsummer Night's Dream, in which the set is used as another actor and an active participant in the story telling. These ideas prompted Mary to explore a very kinetic approach to this design. Over the past few years, Mary has immersed herself in the art of Russian-French artist Marc Chagall (1887-1985) while co-creating, co-writing and designing a play about his wife and muse, Bella: The Colour of Love which premiered at the Philadelphia International Festival of the Arts this past spring. "His deconstructivist shapes and signature deep blue colours from his dreamscapes were still in my head." 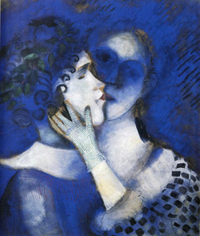 (Shown right: Blue Lovers 1914.) Eurydice audiences won't have to look far to see the deep blue that has been haunting the designer as it appears on the stage floor, the walls and completes the costumes of several characters! "I have spent my life attempting to have stage design seen as an art in its own right, and yet still be interconnected with the artistic currents of our time," says Mary. "I want audiences to realize that theatre can be an artistic creation with its own voice." The story of Eurydice, written by the prolific New York playwright Sarah Ruhl, reimagines the classic myth of Orpheus in the Underworld. However, where Orpheus’s story stops at the gates, we, through the eyes of the quirky title character Eurydice, experience a surreal world devoid of memories where she meets talking stones, a playfully sinister Underlord, and her long-lost father. Ruhl’s plays have won and been nominated for various awards, including her play The Clean House, which was a finalist for the Pulitzer Prize in 2005 and was named one of the top ten theatrical attractions in New York in 2006 by Entertainment Weekly. She was awarded the MacArthur Fellowship (called the "Genius Grant”) in 2006. "…weird and wonderful, devastatingly lovely…"
Immerse yourself in a bold and dreamlike retelling of the classic Orpheus in the Underworld myth. Award-winning New York playwright Sarah Ruhl reimagines this story through eyes of its quirky heroine, Eurydice. Dying too young on her wedding day, she is reunited with her long-lost father in the whimsical, Mad-Hatter realm of the underworld, complete with singing stones and a playfully sinister Underlord. Here, she struggles to recall fading memories of her life as both a bride and a daughter. Eurydice is infused with the melancholy music of Orpheus and takes the audience along on her heartfelt and magical journey. Thank you to Terry Waller for his support of this production. What if one were to cut Shakespeare's masterpiece up into individual lines and piece it back together to tell the story anew? This would be a Marowitz play. Using the same poetic language, Charles Marowitz reinvents Shakespeare's classsic, revealing the layers of insanity in a young Prince's vengence. Notorious for his Shakespearean collages, the acclaimed Broadway and West End playwright, director, and critic presents his radical reinterpretation on the Phoenix mainstage. 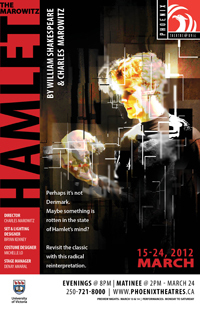 Phoenix Theatre productions, alumni and faculty were well represented in the 2011 Critics’ Choice Spotlight Awards. 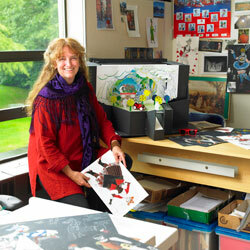 Critics from the Times Colonist, CBC Radio, and Culture Vulture Victoria chose the awards for the 10th annual contest. 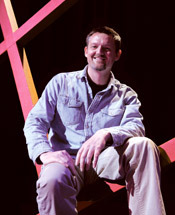 The “Best New Play” award went to Inside, which had its world premiere at the Phoenix in March of 2011. Acclaimed Canadian writer Daniel MacIvor was in residence during the production process, and tailored the script to the student actors involved. “Best Community Production” was also awarded to a Phoenix show: the groovy, 1960’s rendition of Shakespeare’s Twelfth Night directed by professor Linda Hardy. “Best Performance in a Community Production” went to alumnus and theatre instructor Clayton Jevne (BFA ’85, MFA ’88, PhD ’03) for his work in Moscow Stations. Ride the Cyclone, directed by past theatre student Jacob Richmond and alumna Britt Small (BFA ’98 MFA ’04) and starring alumni Rielle Braid (BFA ’09), Matthew Coulson (BFA ’10), Sarah Jane Pelzer (BFA ’09)and Kholby Wardell (BFA ‘08), won “Best Musical Production.” Finally, “Best Professional Production” went to Blue Bridge Repertory Theatre’s Who’s Afraid of Virginia Woolf, which featured graduates Alex Plouffe (BFA ’11) and Celine Stubel (BFA ’02), and was directed by professor Brian Richmond (who also won for “Best Direction”). Congratulations to all the winners! Kitt and Jane, the newest creation from SNAFU Dance Theatre, founded by alumni Ingrid Hansen (BFA ’09), Victor Dolhai (BFA ’07) and Sarah Jane Pelzer (BFA ’09) in 2006 for a Student Alternative Theatre Company production, will be premiering at the Belfry Theatre this March. The production was selected for the Belfry Theatre’s Incubator Project, which offers independent theatre companies mentorship and performance opportunities, culminating in a spot in their SPARK Festival. 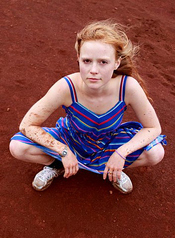 Kitt and Jane, created by Hansen and former Phoenix student Kathleen Greenfield, is the follow-up to their 2011 Fringe hit Little Orange Man. Department of Theatre graduate Amitai Marmorstein (BFA ’07) was recently seen on the big screen at the Victoria Film Festival, starring in the independent comedic mockumentary Sunflower Hour. Amitai plays David, a sweet and tormented amateur puppeteer who hopes to go professional. Other recent parts for Amitai have included roles in Donovan’s Echo, a science-fiction thriller, and the Golden Globe-nominated 50/50. Kudos to Naz Rayani, long-time sponsor of the Phoenix and owner of the People's Compounding Pharmacy in Cadoboro Bay. A long time advocate for charitable causes in the community and organizer of the annual World Partnership Walk, Rayani was named this year's recipient of the Leadership Victoria Lifetime Achievement Award. Alumni! Want to see your activities listed here? Send your recent success stories and we'll publish them in our next Phoenix Phacts! Like us on Facebook to follow what's happening at the Phoenix and Department of Theatre, see links to play photos and reviews, check out contests and interesting theatre news.